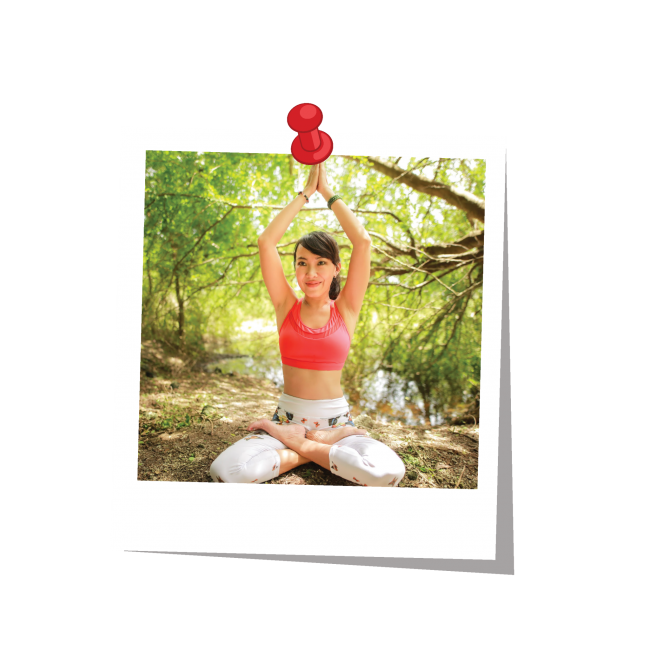 Carlotta Castangia is an ERYT-500 in Hatha and Vinyasa Flow style yoga. She was a dancer for 20 years then finally found her essence through yoga. She began her journey in India embracing all aspects of yoga and she deeply believes in the origins and the roots of the yoga tradition. She also believes that today a modern approach is needed and therefore she combines her knowledge in anatomy and alignment skills in her teaching method. Her classes have constantly evolved over the past 5 years because of her deep devotion to the practice, and she firmly believes that in addition to being a teacher she will remain an eternal student. From the first time Eka Septifana joined a yoga class she was amazed by the profound experience, fell immediately in love with it, and has been a dedicated practioner ever since. Through a mindful yoga practice, she has learned to stay centred and be present, allowing her to embrace life more fully with love, compassion and gratitude. Eka is a Yoga Alliance certified yoga instructor at the E-RYT 500 level who likes to challenge students, focusing on aligment and a personal investigation of sensations, perception, feelings and thought patterns. Bernd works with the tools of Asana, Pranayama, Meditation, the Buddha’s Dharma and study in order to plumb the depths of experience and to always give each student exactly what he or she needs, with a passion for helping to ease the suffering of others. 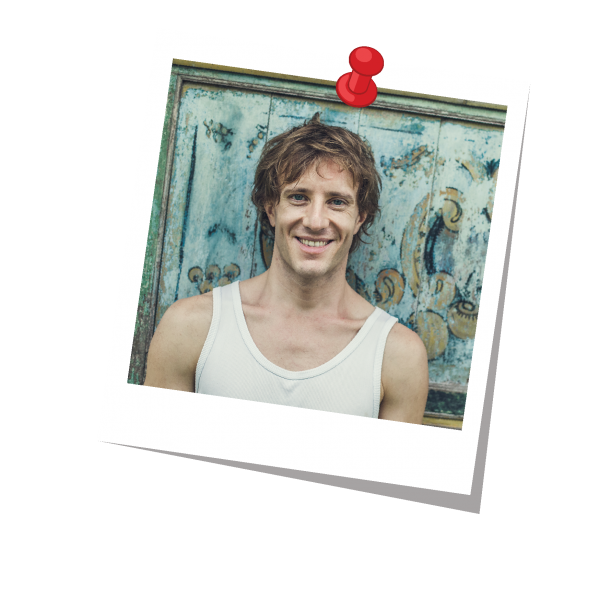 Bernd is a Yoga Alliance certified yoga instructor at the E-RYT 200 level, where you can expect to be challenged in his classes, but always with kindness and care. Charlotte Skogsberg first came in touch with yoga in early 2000, beginning her personal practice through readings of yogic philosophy and asana practice. For several years, yoga accompanied her through life bringing benefits of physical strength and mental clarity. With a university degree in clinical psychology, a yoga teacher certification in classical yoga and yoga psychology; Charlotte combines eastern and western approaches to the body-mind union through her classes. The body is our book of life where our story is printed onto each cell making us the person we are today. Becoming intimate with the body and using it as an instrument to tap into our own truth; Charlotte incorporates yogic philosophy in her mindful vinyasa flow classes to open and still the mind and emphasizing meditative contemplation of mind functions through yin yoga. Dian fell in love with yoga during her very first lesson and continues to practice yoga on a daily basis. She realised that yoga had much more to offer and wanted to share her experience and passion with others. 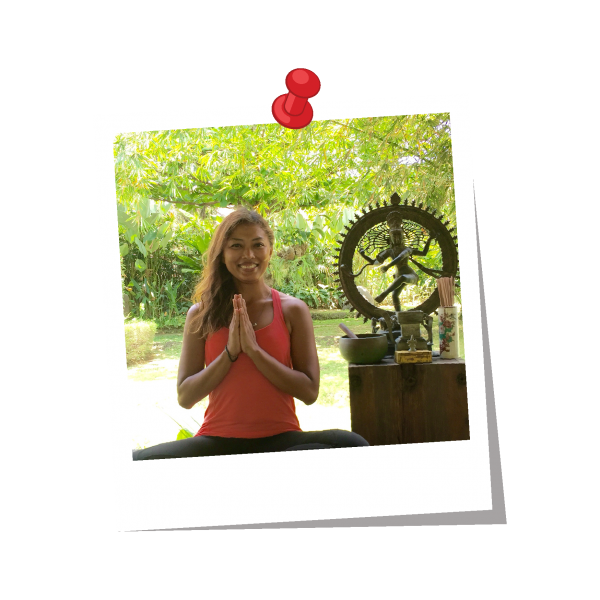 Dian studied and got her certification at RYS Yin Yoga World – Yoga Alliance in Bali. She believes that yoga should be enjoyable and available to everyone. It doesn’t matter how flexible you are, no matter if you are young or old. Yoga is not about touching your toes or how perfect your poses look like. It is to dig deeper and acknowledge yourself, physically and spiritually. Dian particularly enjoys teaching Yin and Vinyasa. She is passionate in helping people to see deeper inside themselves, to see how beautiful they are, to see life from different perspective, to accept and love the way their bodies are. As she understands that every body is different, she will invite you to explore and listen to your mind and your body during your practice. She loves meeting people who are willing to open their minds and share their passion about yoga.